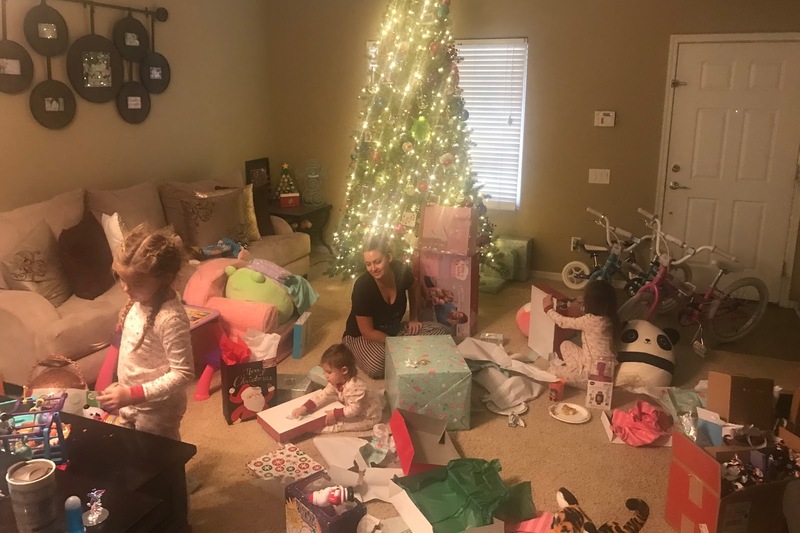 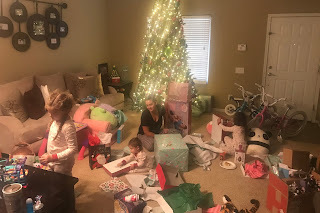 Christmas morning was magical at our house. Grace and Charley came running downstairs screaming about how Santa came, and they ran in to wake up Daddy and Mommy. 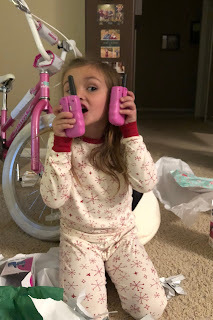 I looked at my phone, and promptly sent them back to bed, since it was only 2:30 am. 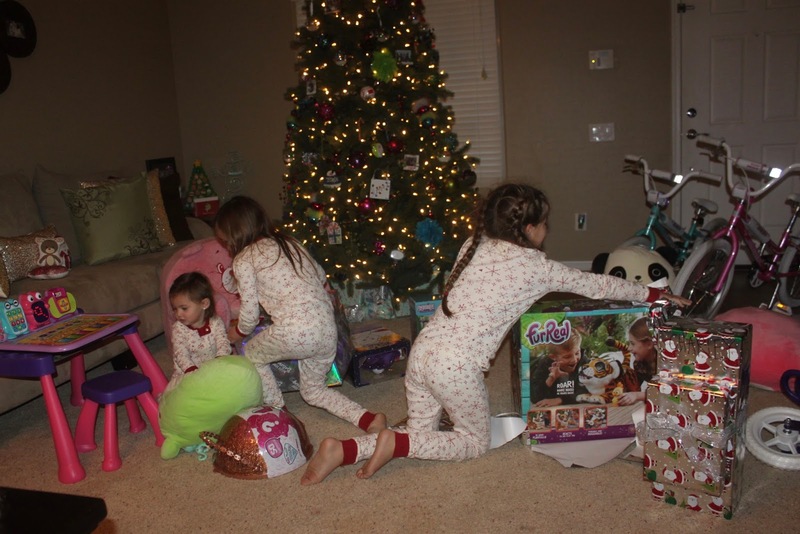 I could hear them out by the tree giggling and peaking around at what had come before they made their way back to bed. 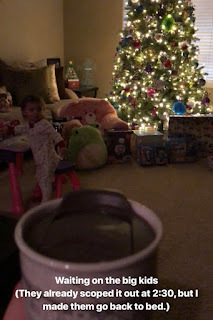 Once Isaac, Perry, and I finally got up, we made coffee and waited around for Grace and Char. 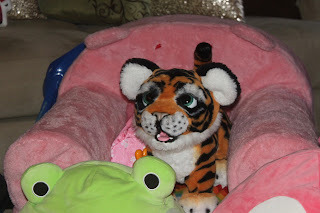 Now they were getting their beauty sleep, while Perry got to scope out the place. 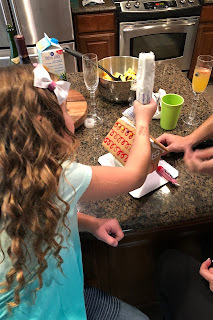 We showed her the stockings, which Santa graciously filled with the coolest Golden Knights goodies including their own official hockey sticks and pucks. 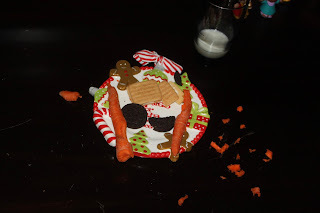 The girls came down, and Daddy showed them what a mess Rudolph had made. 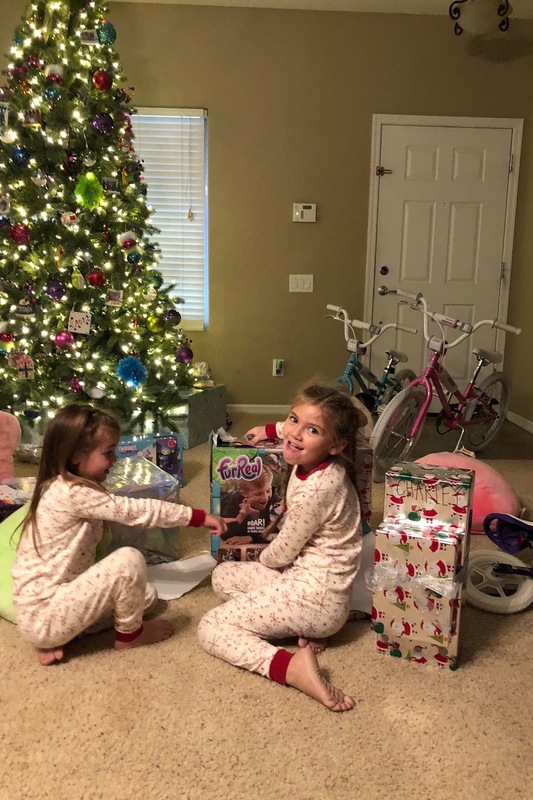 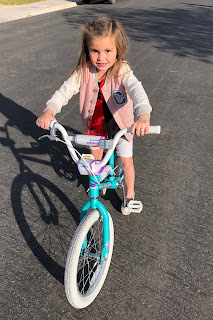 The girls wanted to go ride their new bikes right away, but we talked them into opening some presents first. 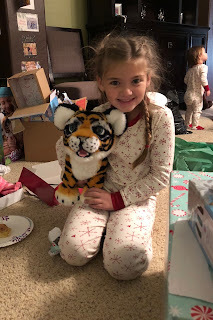 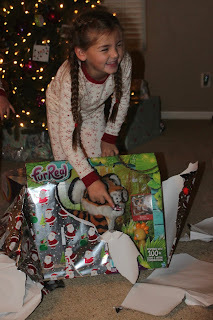 Gracie was so excited about her new pet tiger. 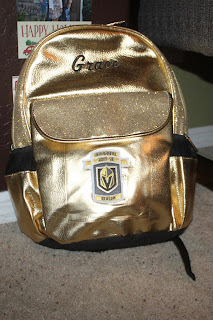 This girl has been begging us for one of these for months. 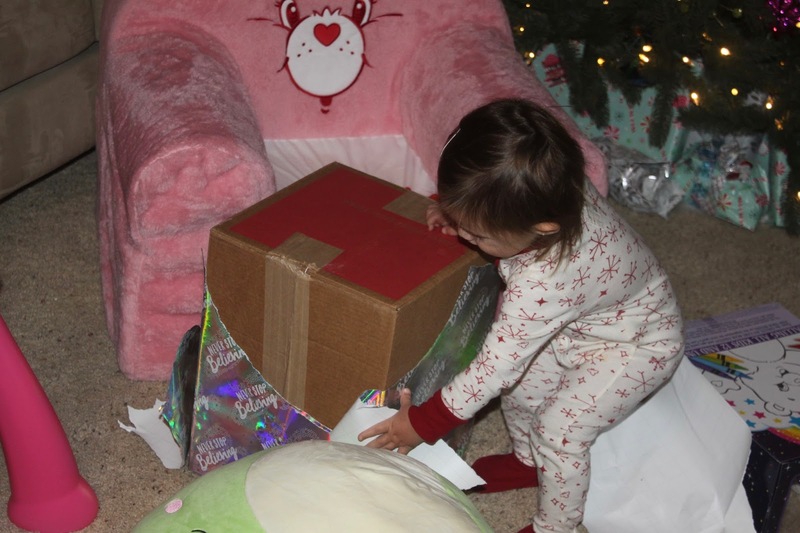 She took it out of the box and hugged it before opening up anything else. Perry got a sweet Care Bears chair and tons of other fun toys. 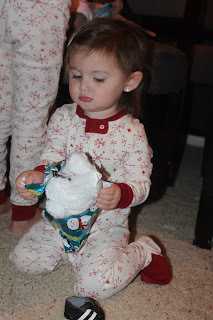 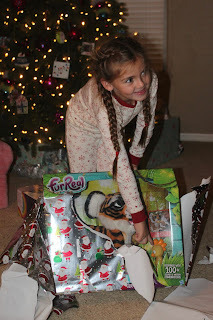 She was determined to get every single scrap of wrapping paper off each present as she opened it. Charley was over the moon about her new American Girl Doll that looks just like her and even came with a soccer uniform! 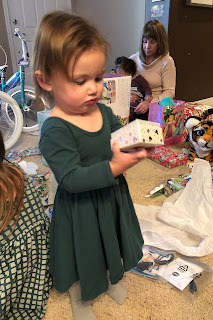 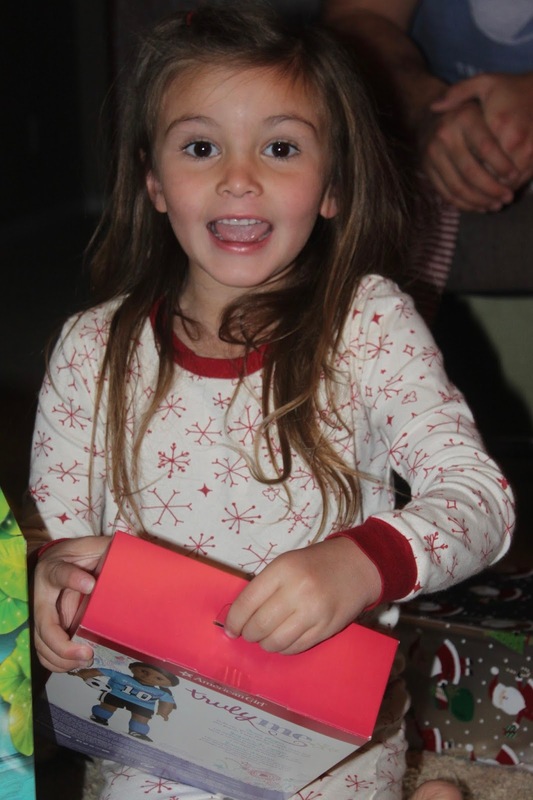 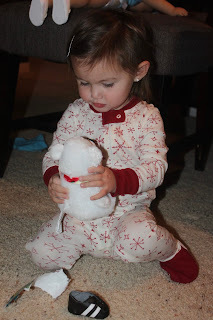 Gracie was so sweet watching Perry open the gift she got her. 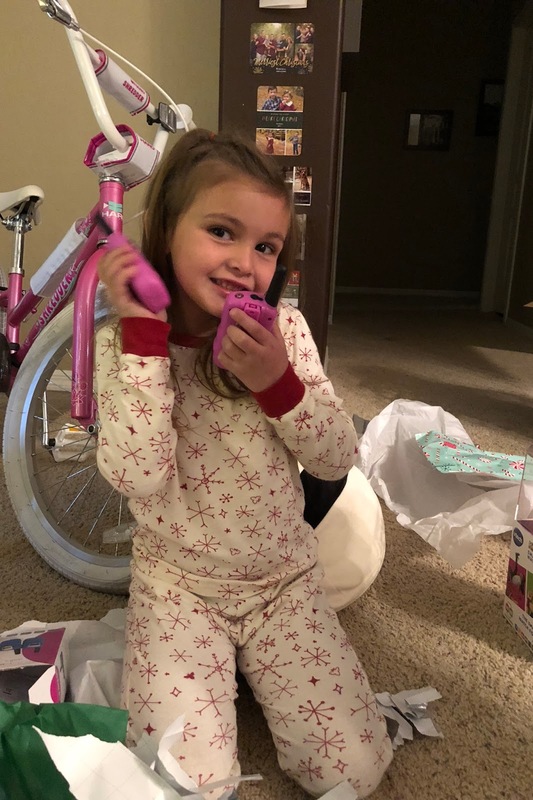 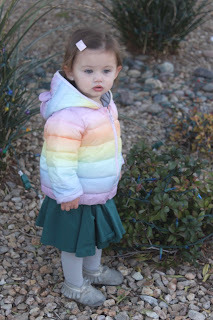 All month long, whenever anyone would ask her what she wanted for Christmas, she would tell them that she didn't need anything. 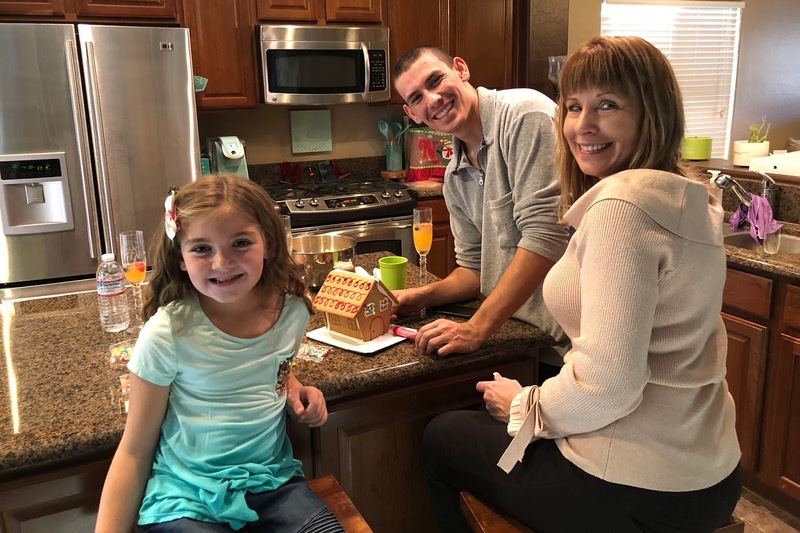 She said she was so happy to have her family and their love was all she needed. She really is the sweetest kid ever. 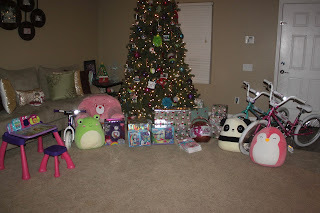 We spent a couple of hours opening new toys and getting them all set up before Poppa and Gran came over for breakfast. 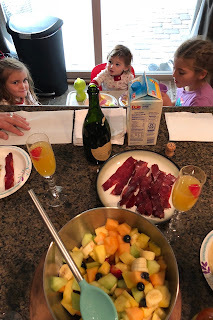 We made breakfast burritos, turkey bacon, and a big bowl of fruit to go with our traditional Christmas morning mimosas. 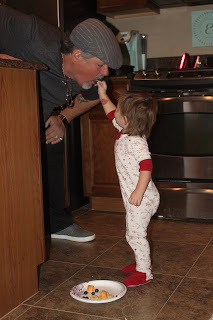 Perry made sure to feed Poppa some blueberries, too. 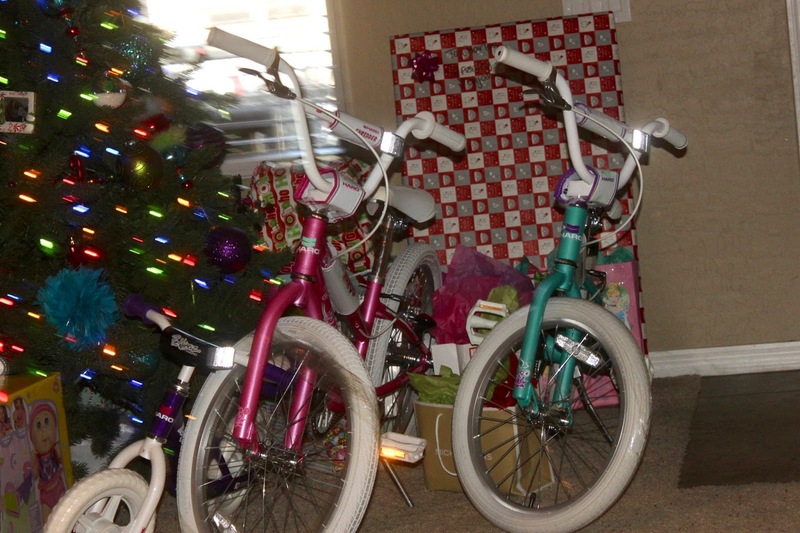 Poppa and Gran always manage to think of awesome gifts that the girls will really use. 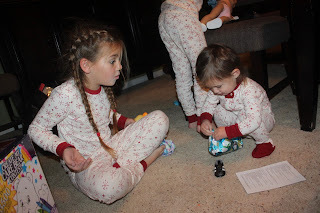 One year, they got their own Frozen suitcases that we've taken everywhere with us ever since. 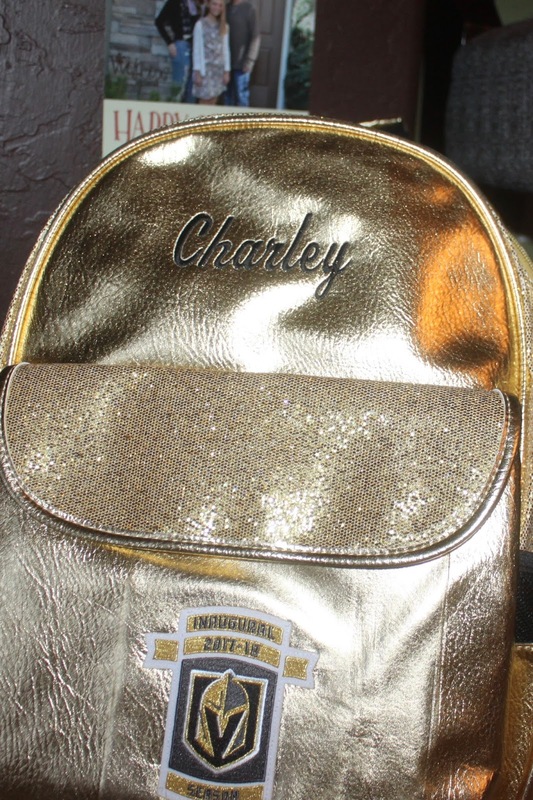 This year, it was Golden Knights backpacks. 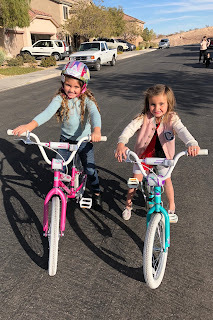 The girls were giddy over them and immediately switched out their other backpacks, so they could take these ones to school. 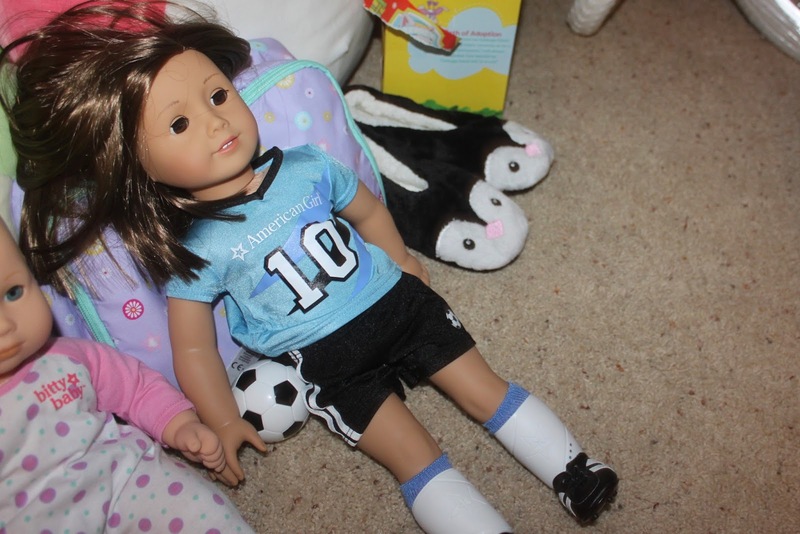 Perry got a Cabbage Patch baby with all of the accessories she could possibly need, which is perfect, because this girl loves babies (real or pretend!). 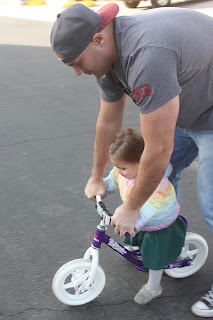 We had a good time with them before it was on to the next one. 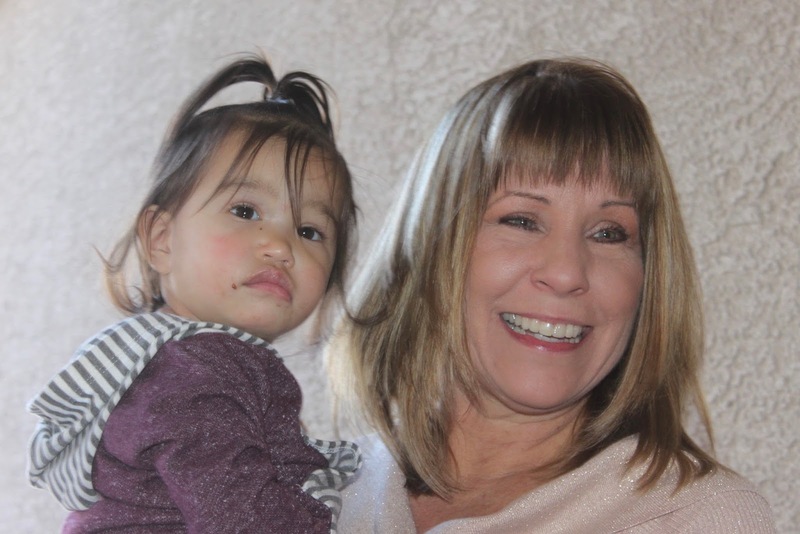 As they headed over to Poppa Ron's, we welcomed Grandma Espejo, Elijah and Ashley, and Brielle over for lunch. The girls set up all of their gifts for a photo shoot and took a million pictures of them, while the rest of us chatted. 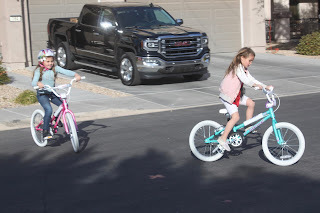 They finally talked us into going outside to try their new bikes out. 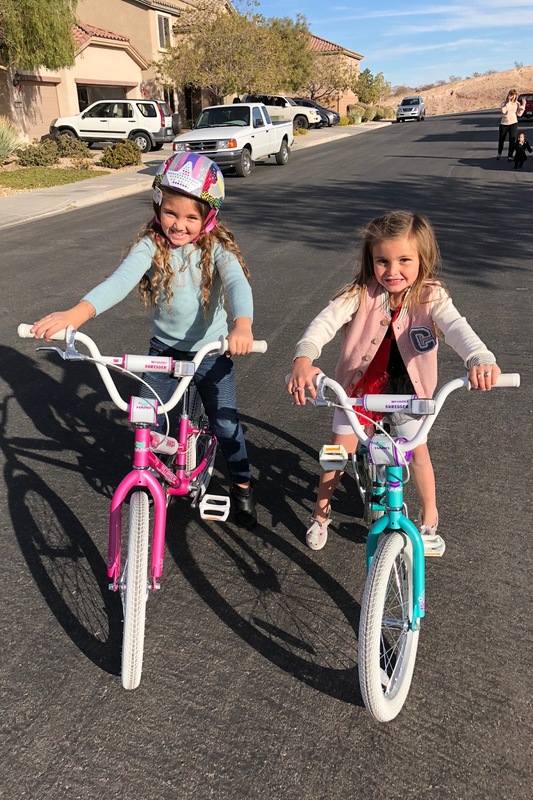 They were the perfect size, and the girls looked so big on these huge bikes. 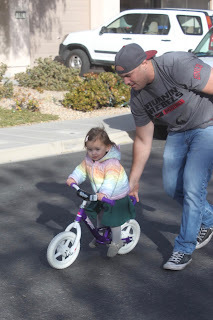 Perry even got a balance bike to match, so Daddy helped her practice while Grace and Char rode around her. Daddy got a drone and practiced flying his toy around the neighborhood, too. 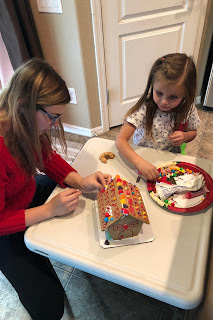 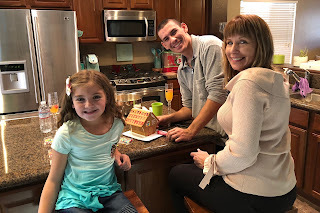 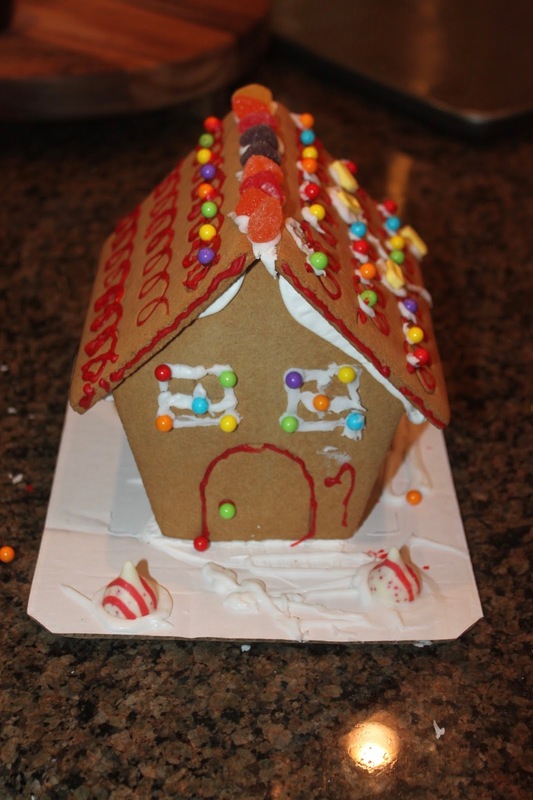 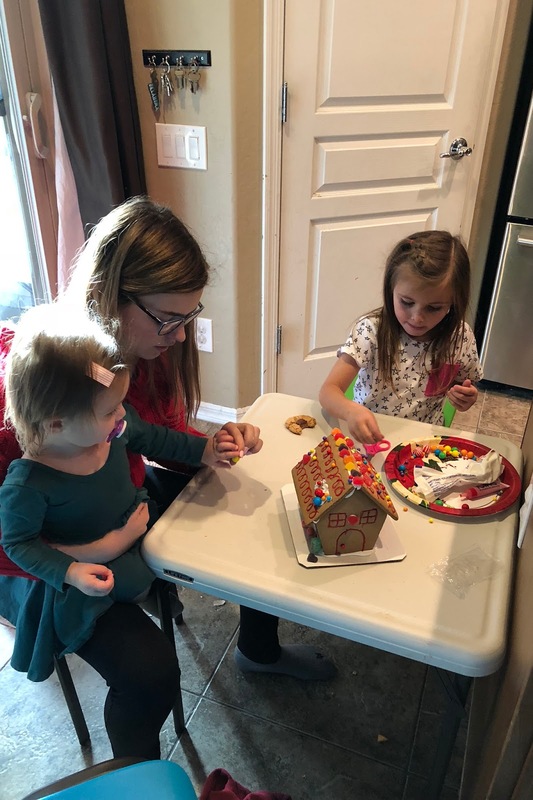 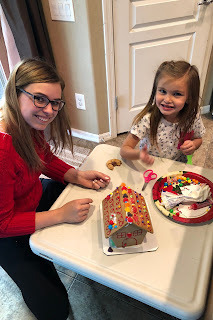 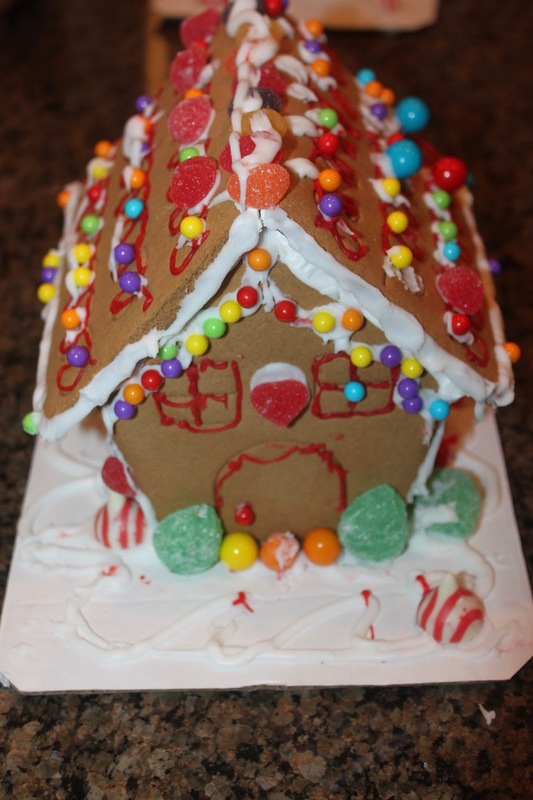 We headed back in to make gingerbread houses, and Ashley, Elijah, and Grandma helped them. They turned out super cute, and the girls got their fill of candy, too. 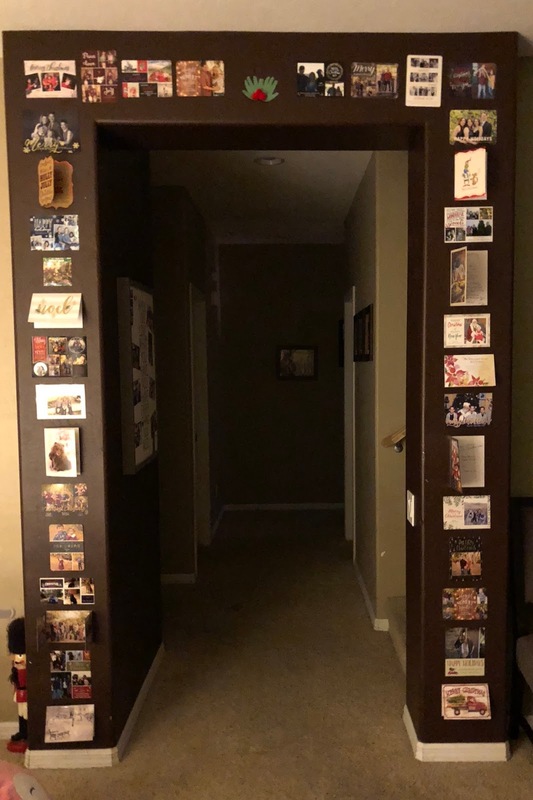 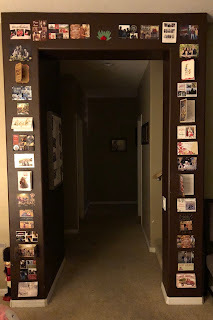 At the end of the day, when everything started to settle down, I stopped to look at all of the Christmas cards we received (I couldn't fit them all, so if yours isn't up here, it's because it came after the wall was full). 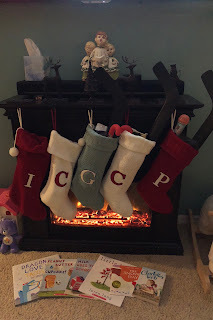 I hang them up in this spot every year, because it's nice to come home from a long day at work and be reminded of all the love we have in our lives. We're so blessed to have so many people that care about us and love on our girls so hard. 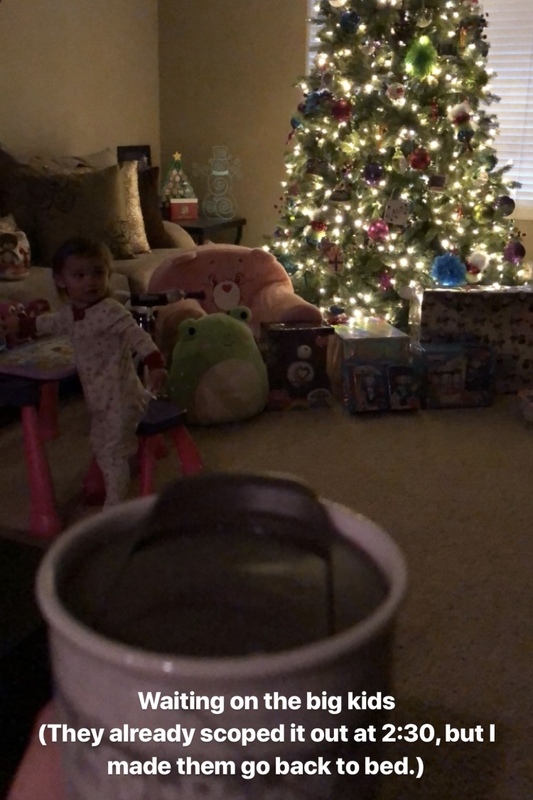 Isaac rewarded Santa for a job well done by watching movies with the kids, so I could relax in the bath tub. 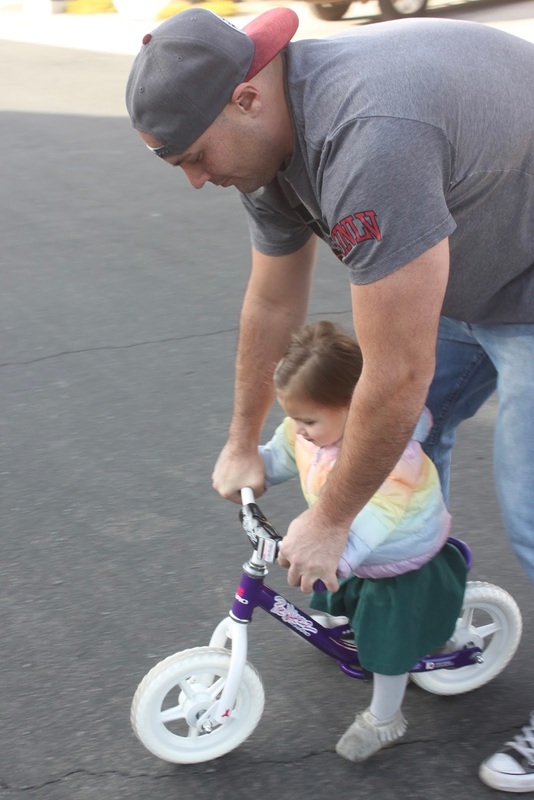 I don't think I could have thought up a better life for myself. 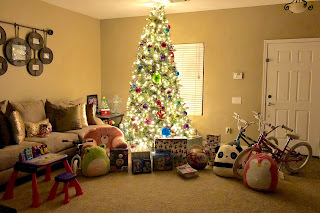 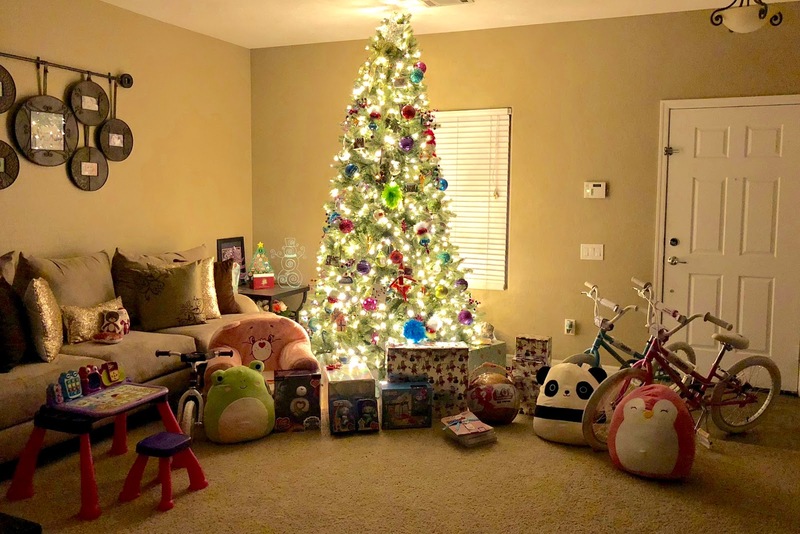 Christmas always makes me feel all warm inside, and the joy on my kids faces the entire day reminds me to let them be little and soak it all in, because one day, they won't be waking us up at 2:30 in the morning to show us what Santa brought.